The reform of the French labour code, referred to as Loi Travail (labour law), was announced at the beginning of 2016 by the French socialist government. The reform is complex as it touches many areas, from working time to the ‘right to disconnect’ (meaning the right not to be permanently available through IT devices). The key changes entail shifting collective bargaining from branch to company level, decreasing over-time pay, and making redundancies easier. In short, it is about the flexibilisation of work. From the outset, the French trade unions, workers, and many young people protested against the law in its totality, all of this while the country was in a state of emergency after several attacks linked to Islamic State. The protests were diverse in composition and creative in tactics, earning them the title ‘movement’. They demonstrate the anger of the working class as well as young people’s perception that there is no future for anyone. Determined to pass the reform, the state reacted violently to the protests. The reform came into force on 1 January 2017, while the state of emergency is still in place and the far right on the rise. Unemployment is high in France, as in many countries in southern Europe: 10% of the population is officially unemployed. Reactionary movements and the far right party, the National Front, are on the rise. The last big wave of protests occurred in 2010, against a pension reform which increased the retirement age. The struggle was defeated shortly before the Socialist Party came into power in 2012 (Gorossari; Sauviat 2016). In this situation it might have been surprising that the population was ready to fight the new reform and did not receive it as a lesser evil. For months, nationwide demonstrations were organised by trade unions, with coordinated actions through a trade union platform (intersyndicale). However, after the first, rather superficial, revision of the law reform, the Confédération Française Democratique du Travail (CFDT), and later some smaller trade unions, stopped opposing the reform. The CFDT, France’s largest union, argued that collective bargaining at enterprise level instead of the branch would strengthen social dialogue. The Confédération Générale du Travail (CGT), Force Ouvrière (FO), Solidaires and other smaller unions still opposed the reform. To have company-level ballots with organised as well as unorganised workers, instead of branch-level collective agreements, goes against the sector-wide coverage trade unions usually prefer (Schmid 2016b). The demonstrations intensified before March 2016, when the law came before Parliament. The youth was at the front line of demonstrations; among them were also many youths from the European southern periphery who had migrated in search of a better future (El Azzouzi and Goanec 2016). Strikes were organised in sectors where the CGT is relatively strong, such as chemicals, transport and energy. These were usually short, but the workers at eight refineries stopped production for three weeks. This amounted to a ‘strike by delegation’, as striking is delegated to stronger sectors with secure employment. As in the protests against pension reform, the idea was put into practice that when unemployment and precarious employment are the norm, it is easier to block the circulation of goods than their production. Roads, bridges, ports and refineries were thus blockaded. However, the blockades were not widespread enough and the strike by delegation proved insufficient to push the government to withdraw its reform. Meanwhile in big cities, so called Nuits Debout (nights standing) movements appeared. Nuits Debout are inspired by the occupations of public squares in Spain and other places since 2008. Limited though these occupations are in their impact, they give space for people who distrust formal politics to express themselves. In the assemblies, everybody can speak without hierarchies. In Paris, the occupation was organised into committees related to infrastructure (logistics, health care, and so on) as well as themes (general strike, convergence of struggles, and so on). A part of the Nuits Debout participated in economic blockades. Despite its peaceful character, the Paris occupation was dispersed by the police every night, and every morning people re-occupied the Place de la République, for three and a half months. Despite the multiple forms of protests and the majority of the population’s opposition to the reform, the movement did not manage to stop the deterioration of working conditions in France. Protests provided just enough leverage to obtain minor amendments to the law. This is because, on the one hand, strikes and blockades did not spread widely enough, and on the other, the government was determined to pass the law. The demonstrations were heavily repressed, resulting in many injuries, arrests (1 900 in three months), and interdicts against joining or reporting on demonstrations. As a result, a slogan often heard during demonstrations, in a country that held police as heroes after IS attacks, was ‘Everybody hates the police’. Part of the youth reacted to the violence by protecting itself in militant and creative ways, as illustrated by the viral picture of a masked man sending a tear gas canister back where it came from – with a tennis racket. Besides repression against demonstrators (including against trade unionists), the government showed its determination by using, three times, Paragraph 49.3 of the Constitution, which allows Parliament to adopt a law without voting on it (as its rejection would usher in elections). This was done in a situation where the right in Parliament opposed the law, but only formally; when the law was presented to the Senate, the right tabled an even harder proposal, allowing the Socialists to present their version as a left one. Meanwhile, the fascist National Front, knowing that (potential) party members were among the reform’s opponents, half-heartedly criticised parts of it (Le Monde 2016). A longer-working, more flexible workforce is no displeasure to capital. The labour reform will result in more economic inequalities and decreasing wages due to declining leverage at branch and sectoral level – also no displeasure to capital owners caught in international competition. The CGT and FO vowed to continue fighting the law by legal means, including by drawing on EU directives on health and safety, the EU Social Charter and the ILO conventions on freedom of association and the right to collective bargaining. The people involved in the movement will not forget the repression they faced and this will have an impact on how they perceive the state, democracy and the Socialist Party as a part of the ‘left’. It is likely that the Party’s collapse at the 2017 elections can in part be explained by the rise in the distrust around the Loi Travail. For instance, many unemployed and working people, some of whom traditionally supported the Socialist or Communist Party and still support trade unions, have now turned to the far right National Front (Schmid 2016a). While this is by no means the direct result of the imposition of the Loi Travail, but the handling of the reform certainly helped to further de-legitimise the Socialists, and strengthen the National Front, which stayed out of the conflict. Many fear that a fascist France and Europe might emerge out of the current crisis, given the total disregard for the working class by all parties in power combined with the complete disorientation of the left. In France, while the far-right candidate lost in the second round of the elections to the ultraliberal Macron, this does not make the danger any less real. Trade unions face a daunting task; the only way forward is to fight together with and within the working class to develop a progressive narrative that cannot be co-opted by the far right. In the coming months, it will be interesting to see whether the movement against the Loi travail will pick up again as Macron is proposing reforms that will go even further in the direction of labour market flexibility – and worker insecurity. Although the youth and the subproletariat of the big cities’ poor suburbs (cités) has seldom been involved. 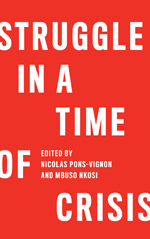 A term used in France by those who see an intersection between struggles that are not a priori connected with each other (eviction of migrants, opposition to the state of emergency, labour struggles and so on) and which could change the balance of power if they converged. Luce Dubois is an alumna of the Global Labour University. She worked on several GLU alumni research groups including Mega sports events and labour, and Workers’ education and political consciousness, and studied the resistance against the Amazon work regime in 2015 and 2016. When was written this article? Because it is a pity the amazing wave of hope raised by La France insoumise is not mentioned at all. La France insoumise is now recapturing the working class in France. Remember that Melanchon obtained the most important score in Marseille and in the department of Seine Saint Denis! The PS has totally gave up on this job decades ago. The Front national is now in crisis FYI. La lutte continue.